I have had an incredibly challenging time getting in to see this doctor. Her office called and rescheduled my appointmenttimes TWICE. When I finally went there today, they said that I was late, even though I had the record of the confirmed time on the app. They said they could not see me for an hour and fifteen minutes. Her front staff is very rude and unprofessional. I will never reschedule an appointment with her and I recommend that you seek out another provider as well. AVOID THIS OFFICE! I have had an incredibly challenging time getting in to see this doctor. Her office called and rescheduled my appointment times TWICE. When I finally went there today, they said thatI was late, even though I had the record of the confirmed time on the app. They said they could not see me for an hour and fifteen minutes. Her front staff is very rude and unprofessional. I will never reschedule an appointment with her and I recommend that you seek out another provider as well. AVOID THIS OFFICE! On time and professional. Dr. Brown took her time and explained everything. Staff could not be any friendlier. A hand ofaces! Elizabeth Timbrook Brown, MD, MPH is a board-certified caring and qualified urologist in Washington, DC. Dr. Brown obtained her medical degree from West Virginia University. She completed her internship from Ochsner Health System and residency in urology from Louisiana State University in New Orleans. She further continued her education by completing a fellowship in Female Pelvic Medicine and Reconstructive Surgery from Vanderbilt University Medical Center. 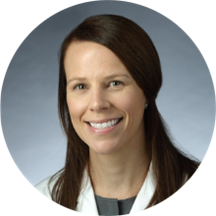 Dr. Brown is a part of MedStar Georgetown University Hospital and is a member of the American Urological Association, Society of Urodynamics, Female Pelvic Medicine, and Urogenital Reconstruction, and the Society of Women in Urology. She specializes in the medical and surgical management of urinary incontinence, voiding dysfunction, neurourology and urodynamics, and pelvic floor reconstruction in both men and women. She understands many patients suffer silently from incontinence and pelvic floor disorders, but treatments are currently available that can significantly improve a patient's quality of life. Dr. Brown is dedicated to helping patients receive the treatment they need so they can enjoy a positive and fulfilling lifestyle. She offers a patient-centered approach to care, knowing the best treatment may not be the same for everyone. She discusses all appropriate treatments with her patients and together they decide on the best management option. For some reason they send you to one floor to sign in and another to see the doctor. The doctor and their team were not very friendly and seemed annoyed when I asked questions or tried to explain myself. Will not be returning. I was nervous to see the doctor regarding my private areas but she made me relaxed and the entire appointment was pleasant. And the waiting room is large and comfortable, and the receptionists (3) were all friendly and had good senseof humor too. The nurse just led me to the waiting room and then said that Doctor Brown would be with me shortly and left me alone. The nurse did not ask any questions about me or anything. And the forms I had to fill out in the waiting room about my medical history were easy to read and only 4 pages, one side, with large print font and plenty of room to write down notes about my medications. I liked that Dr. Brown spent a long time with me and treated me like as if I were important. I really like her alot and am glad that she is my doctor and I hope that she gets alot of patients because I can tell that she cares about her job and cares about people and is not in it for the money. This was my first visit with Dr Brown, and was impressed by her knowledge, clarity of explanations, and the way she makes one feel at ease to discuss issues and options to address them. She is very professional, which includes havinga very good mood and devoting sufficient time to her patients. I would definitely recommend her. Her staff at the Lafayette Center was very nice and helpful too. Dr. Brown was the second urologist I went to about a concern I had. The first doctor was condescending and had a horrible bedside manner. Dr. Brown was polar opposite. She considered my needs and offered sensible solutions. I'm looking forwardto working her as we progress toward resolving my problems. Dr. Brown made me feel very comfortable right from the start, which made it easy to describe my symptoms and discuss possible tests, treatments, etc. She was warm and friendly, as well as knowledgeable in her field. Due to traffic, Iwas also 20 minutes late, and her office staff still allowed me to keep my appointment even though I was out of the 15-minute grace period (although I did call in advance to let them know I was running late). Overall I'd highly recommend Dr. Brown! !